My name is Rivers Morrell, and I have represented injury victims of car accidents in Fullerton for more than 40 years. Although Fullerton was founded as a railroad town, it has rapidly grown into a broad mix of commercial and educational economy fom petrolium, aerospace, and many canneries to respected colleges and universities such as California State University, Fullerton and Fullerton college. Music buffs recognize Fullerton as the home of the Leo Fender and the birthplace of the electric guitar. Fullerton has become a busy city in Orange County and a great number of its residents are motorists who commute on a day-to-day basis. Three major freeways, I-5, CA 91 and CA 57, run through the city, causing highly congested traffic. This driving environment lends itself to car accidents in Fullerton which result in injuries to drivers and their passengers. It is important to seek immediate medical attention after car accidents in Fullerton or anywhere in Southern California. You may think you are ok but it is important to be seen by your primary physician or a doctor at an urgent car or outpatient facility within 24 to 48 hours of the accident. Many injuries will take days or weeks to present symptoms. Injuries such as damage to the discs in your neck and back may feel fine in the immediate aftermath of the accident. Three weeks later you are flat on your back, in immense pain and unable to work. Insurance adjusters will not approve any medical bills, lost wages, pain and suffering or any other expenses if you did not seek immediate medical attention after the case. We work with clients on an individual basis with the understanding that each case is different with a unique set of circumstances. It is rare to be able to have direct communication with a highly recommended attorney with more than 40 years of experience. The Law Firm of Rivers Morrell will answer your phone calls and will promptly respond to your emails. 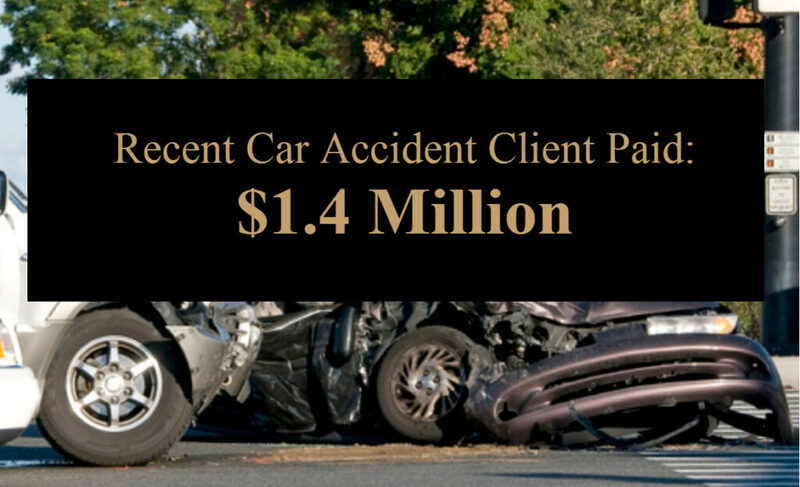 Those who are injured in Fullerton car accidents need a proven and accessible Orange County injury attorney who will carefully investigate your personal injury claim. We invite you to review the comments and recommendations of our clients and the legal industry and contact the Law Firm of Rivers J. Morrell, III or call (949) 305-1400 for a free consultation. There is no cost to you out of pocket as we work on a contingency fee basis. Evening and weekend appointments are available.